I finished my Bachelors in biotechnology and now I am almost done with my second semester of my Masters program in Nanobiophysics at the TU Dresden. Studying in Dresden has given me an insight as to how fascinating science research and technology can be and the unbelievable rate at which it is progressing. I look forward to involving myself in research in the field of molecular biology inclined towards regenerative therapies and molecular motors. The iGEM competition is very exciting to me with its main theme revolving around novel genetically engineered organisms; the best part is that we can design our own biological system, based on our idea, which is limited only by our creativity. 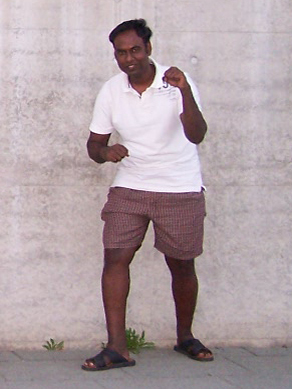 Apart from iGEM, I enjoy playing KHO-KHO (Indian game), travelling, music and playing video games. aka 'Adi', from Bangalore, India. I am a master student of Nanobiophysics at TU Dresden. By education a Biotechnology engineer and by professional experience a metabolome researcher. Being an engineer iGEM gives me a perfect blend of systematically engineering the biological assembly the way we build any machines. I consider this opportunity as the first step to be a part of the synthetic biology community. In future, I would like to be a researcher in nanobioscience . I am a reader, admirer of creativity and beauty. I am funny, witty, and sarcastic. There are very less things which do not interest me. I love cooking,traveling, pinch of yoga and lots of sports though not good at many. Hi my name is Habib, and I am from Pakistan. I did my BSc in Kazakhstan in Genetics and Molecular Biology; currently I am doing my master in Molecular Bioengineering at the Biotec, Dresden. I participe in iGEM because I can do everything what I want and of course have fun with my teammates. I am Victor Gordeev, 23 years old, from the Republic of Moldova. I finished the Bachelor Program in Molecular Biology at the State University of Moldova. Currently I am a second semester student in the Master Program of Molecular Bioengineering at Biotec, TU-Dresden where I am having an exciting international experience. The interest in synthetic biology is probably innate. I joined IGEM because this is a means to prove that science can be different from how it is usually viewed, there is place for imagination in it not only limited to the ways of dissecting a mechanism, pathway, function but also to designing ingenious approaches meant do deal with various problems. In addition it is perhaps, the greatest LEGO competition ever. Hey there. I, Svea Grieb, am 23 years of age and I am german. Currently, I am majoring in Molecular Bioengineering in the Master program offered by TU Dresden. My Bachelors mainly dealt with nanobiotechnology so i guess I add an extra flavor to the team with my experience. I applied for iGEM because I am a big fan of teamwork! Furthermore I hope to learn new lab and organizational skills of such projects. My further expectations are, to be able to build a scientific network, to realize my areas of interest and figure out the path that lies ahead of me. Meeting new people and making friends is always an additional advantage! I love any kind of outdoor sports, I travel extensively and I am always up for some beer or parties. I am Sarah Mansour, I majored in Biotechnology for my bachelors and I am currently a student at TU Dresden doing my masters in Molecular Bioengineering. Coming from Cairo, Egypt, has taught me that the market demands for cheaper and efficient solutions are much higher than the supply. Concerning healthcare, it stages a problem as not many can afford the highly priced treatments. I believe that with the current knowledge, technology and concerted efforts, better solutions can be offered at lower costs. I am looking forward to iGEM being an experience where motivated people from around the world can share their views and solutions to various problems through the promising field of genetic engineering. I have already completed my Bachelor’s studies in Biotechnology in Austria. Currently I am pursuing the Master’s Program “Molecular Bioengineering” at the TU Dresden. Furthermore I enjoy Beachvolleyball, Tennis, Frisbee and basically any sport that can be done outdoors. Even though it might not seem special, for me it is the perfect balance to my studies. Taking part in the iGEM competition is very challenging; yet it allows me to follow the whole pathway of a project from idea to final presentation. Besides the professional experience you gain it also shows one its personal strengths and weaknesses which I think is advantageous to know so early in ones carrier. For my future I hope to someday work in the biotechnological or pharmaceutical industry. 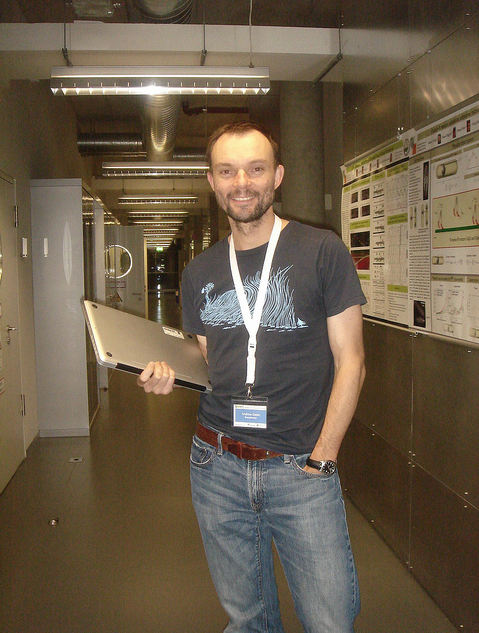 I am currently a first year student in the Masters program of Nanobiophysics at the TU Dresden. I have a Bachelors degree in Biotechnology and I hope to pursue a research career. Working in a couple of labs has helped me hone my lab work skills and has enhanced my knowledge in several interdisciplinary fields of science including biophysics and neurobiology. iGEM has been a great learning experience for me so far and I see it as a fantastic opportunity to get to know the demands of real life research. Besides science, I spend most of my free time listening to music, reading books of non – fiction genre and of late, travelling and exploring new places. I am an eighth semester student entering the final year of my diploma degree in Biology at the TU Dresden. When I first heard about iGEM, I was very intrigued. The idea of building a synthetic organism to solve problems in normal life presents itself as a major potential for molecular biology. What I like about iGEM is the idea of abstraction. By reducing informational weight and using common standards, we are able to accelerate the development of new synthetic devices and solutions. I am particularly fond of computers and programming. In the future, I hope to pursue a PhD at an interesting research facility. I have recently completed my Bachelor's degree in Honors Cell Biotechnology at the University of Alberta, Canada. During my degree, I have had the chance to take part in two projects that have greatly piqued my interest in biological research. The first experience was studying macrophage development in the lab of Dr. D. Barreda. The second was my participation in the iGEM competition as a member of the University of Alberta team last year. What I particularly like about iGEM is that biologists are challenged to think like engineers. To switch mindsets and consider cells instead as machines consisting of individual parts that can be assembled to create an organism with desired phenotypes and functions. By combining the well-established engineering principles with biology, I am certain there will be a new 'golden age' in the field of biology. I received B.A. (Hons) and M.Sci. (Hons) degrees in Natural Sciences (Biochemistry) from the University of Cambridge. As a graduate student in the Genomics Department of the Dresden University of Technology, I am interested in the biology of embryonic stem cells and their differentiation to distinct lineages during early development. My PhD project focuses on how differentiated cells are reprogrammed to induced pluripotent stem cells by a few magic proteins. As a student, I took part in iGEM 2006, and after being instructor to the Dresden iGEM team 2009, I am now trying to advise the 2010 team on their efforts as best as I can. I am a Biochemist by training and an Electron Microscopy specialist at the MPI-CBG Dresden, where I study the Mechanosensory transduction, structural and functional aspects of Neuronal networks in Drosophila. I had Industrial R&D exposure in my early days, which gave me an insight into synthetic biology, and its potential. The reason for me to join iGem was also to be with students who are not limited with their ideas and the kind of energy they put into you…its amazing! It’s an experience to understand the psychology of Individuals in an International group. I like biking, “cooking inter cultural dishes” and meeting new people in my free time. I’m a group leader at the MPI-CBG in Dresden, where we study the molecular and cellular mechanisms of vertebrate segmentation. To understand this complex system of coordinated biochemical oscillators we are integrating theoretical modeling with experimental approaches, such as real-time imaging in the zebrafish embryo. I think iGem is a great platform for young scientists to combine their scientific knowledge with engineering principles to generate and learn about novel biological systems. It is an exciting opportunity to aid these students through the creative process of generating product ideas and developing a well rounded project. Officially I am a Bachelor of Biochemical Engineering and a Master of Molecular Bioengineering, but recently I joined a Developmental Biology Lab at the MPI-CBG. I’m studying the segmentation clock, which regulates zebrafish somite formation, and eventually would like to rebuild that clock outside the zebrafish. With the idea of this project came my first exposure to synthetic biology, the concept of engineering biological machines and ultimately iGem. Unfortunately, I’m too old to be a team ‘member’ but being an ‘advisor’ is also a rewarding experience…really! In my spare time my favorite thing to do is play, relax with friends and experience new things. 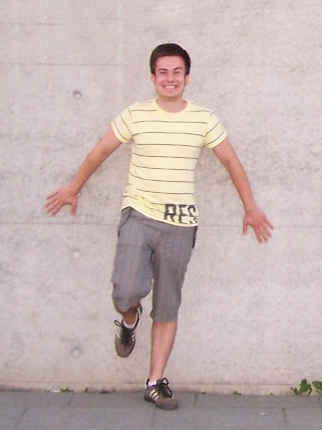 I am doing my PhD at MPI-CBG in Dresden in Joe Howard's Biophysics group. My main interest lies in engineering principles and emergent properties in the molecular world. To learn about these fascinating phenomena, I am engineering motor proteins and study properties of cytoskeletal systems in vitro using a bottom-up approach. I got interested in IGEM during my master studies in Molecular Bioengineering here in Dresden, but unfortunately it was too late to get a team started. So I am very happy, that students from the Dresden Master Courses can now participate in the IGEM competition each year and I took the chance to contribute as an advisor this time. Working together with the students is very enjoyable! The attitude in this team is great and discussing with fresh minds about all the things from concepts to wet lab tricks is fun and a rewarding experience.